Veldacademie is a field lab for the urban development of Rotterdam. Actual urban challenges are matched with research and education. You will do research, meet stakeholders and make a design in the field. 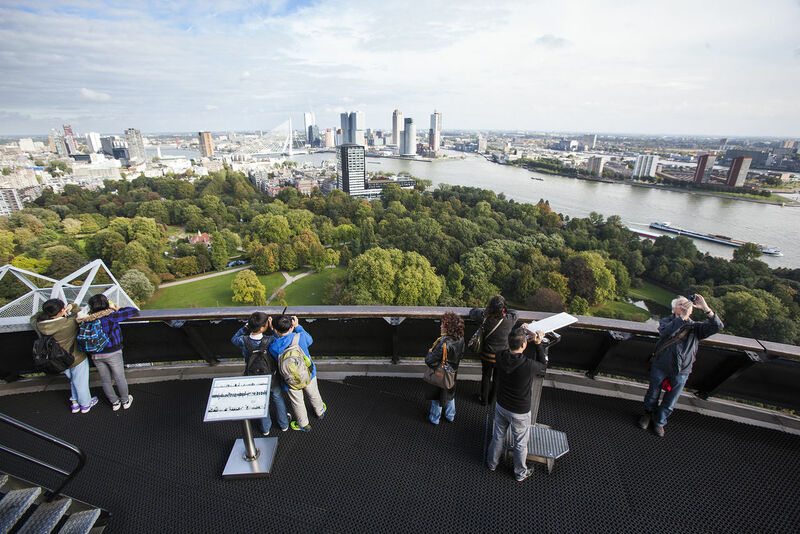 This way, you can make a meaningful contribution to the city of Rotterdam. As a student, you have a unique opportunity to work in the heart of these degenerated areas of Rotterdam and get in touch with the daily reality in Rotterdam’s urban living environments. You will experience the interaction between inhabitants, municipality, housing corporations, real estate developers and other stake holders. Veldacademie also cooperates with other educational and research institutes such as Erasmus University Rotterdam. This studio facilitates students fascinated by interdisciplinary research/ design and are willing to work with real people, and so contribute to the sustainable improvement of the city of Rotterdam. Veldacademie offers a graduation lab open for students of the Architecture and Urbanism track. Students can develop their own assignment, as long as it addresses a present-day issue that is relevant for the city of Rotterdam. In addition to your main tutor and research tutor, Veldacademie is part of your guidance team as a practice mentor. Contact us with your personal project proposal, about research opportunities. Sign up during the enrolment period; Write down a summary of what you want to research or design and why this is a relevant assignment for Rotterdam. After the enrolment period, you will be invited for a collective admission interview.